It is indeed fitting that we begin our 50th Anniversary by honoring our Blessed Mother under two titles, the Immaculate Conception and Our Lady of Guadalupe. The Virgin Mary is the only human person who was always faithful to God, the only one whom God preserved from all sin, so she could welcome into her womb and thus into our world our Redeemer; and she is the great missionary whom God sent to evangelize the New World, appearing to Juan Diego nearly 500 years ago, and bringing about the conversion of millions of native people. The secret Our Lady of Guadalupe’s unparalleled success is this: she teaches us how to welcome Jesus as Savior in the ordinary circumstances of life. Our first reading from the Book of Genesis lays the groundwork for understanding Mary’s role in history by revealing humanity’s need for a Savior, by showing why we need to be saved. Some might object: But didn’t God create us good? Well, yes, He did. And did He not create man and woman in His own image and likeness? Yes, that’s true! And did He not endow Adam and Eve and their descendants with freedom, so they would have the ability to give and receive love? Yes. Then, why did they, and why do we, need a Savior? The Book of Genesis answers in this way: Everything God created was good, including the first human persons, Adam and Eve. Unlike the rest of creation, God endowed them with a mind and soul capable of exercising freedom, thus able to love. But, then, due to the temptation of the Serpent, they misused this freedom; they sinned and thereby introduced evil into human history; this tragedy is often called the rupture. Adam and Eve’s sin ruptured their original relationship with God—a rupture so deep that they hid themselves from Him; they did not want to see Him nor be seen by Him, even though without Him they could not be happy. 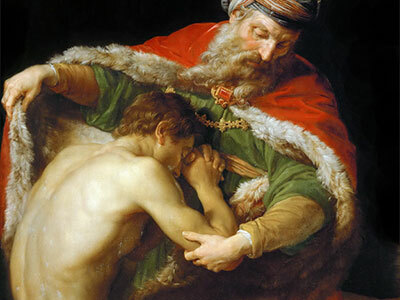 As a result, every human being after Adam and Eve is born with the weight of original sin, a tendency to turn away from God and others, to turn inwardly towards selfishness instead of sacrificial love. As a result, we need a Savior to rescue us from this rupture, which has badly wounded human nature. Moreover, this Savior needed to be truly human; at the same time, He needed to be truly God. The Immaculate Conception of Mary paved the way for God to accomplish this miracle, preparing for His Beloved Son to be conceived and born of the Virgin Mary, thereby introduced into human history. By preserving Mary from sin from the moment of her conception, God prepared her to be the worthy Mother of His Son. Today’s solemnity celebrates the marvelous way that God prepared a “new Eve” to overcome the rupture caused by the “old Eve.” As a woman conceived without sin, and thus perfectly able to welcome the Savior in her life, Mary set the example of how to welcome our Savior into the world and our personal lives. The first Eve said “No” to God. But Mary replied with a resounding “Yes!” With all her heart, in complete freedom, Mary put her entire life in the hands of God. To correct and heal Eve’s “No,” Mary said, “Behold, I am the handmaid of the Lord. Let it be done according to your word.” Mary conceived by the power of the Holy Spirit, gave birth to the Savior of the world, and, thereby, welcomed Jesus into human history. She also showed us how to welcome Him. The Feast of the Immaculate Conception tells this story in wondrous fashion; and thus, this is the perfect day to begin the celebration of the 50th anniversary of our diocese. The great truths of faith proclaimed by this feast are certainly timely in view of the spiritual and cultural crises of our times. On a personal level, some of us are afflicted by bodily suffering, difficult relationships or other hardships of life. On a national and global level, we face unprecedented moral challenges, which threaten our Christian foundations and the very fabric of society. Even in the Church, sins and scandals mar the beauty of Christ’s body, the Church. Yet, through all this darkness, God has provided, through Mary, a Savior who is the Light of the world, “the way and the truth and the life”, the Redeemer who heals the rupture between God and man: Jesus the always faithful Son and Savior, who has won the definitive victory over sin and death. 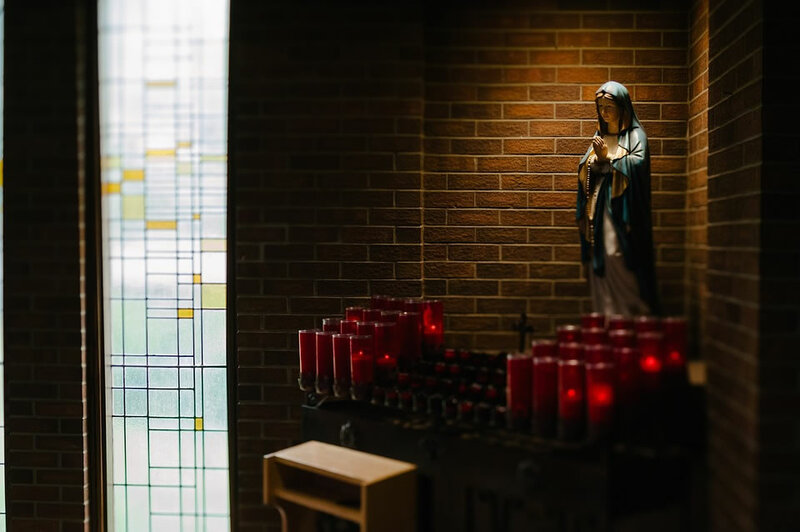 Our Lady of Guadalupe shines light on the mission entrusted to Mary at her Immaculate Conception and on the mission entrusted to everyone in the Church. In AD 1531, Jesus sent His Mother to continue the mission He first entrusted to her from the Cross when He said, “Son, behold, your mother. Mother, behold, your son.” At that moment, Mary became the first missionary disciple of her Son. When she appeared in Mexico, she continued the mission she received at the foot of the Cross, the mission of helping the Church to bear witness to Jesus and His Kingdom. What she said to Juan Diego in 1531, she continues to say to us today, “Am I not here with you as your mother? Are you not under my watchful care? Am I not the fountain of your joy?” In these words, Mary assures us that we are not alone in our desire to be faithful disciples and joyful witnesses of Christ here and now, in Arizona in AD 2018. Just as Mary was fully engaged in the day to day reality of the world, without giving in to temptation, she teaches us that friendship with Jesus does not isolate us from others, does not separate us from the hard work of loving God and whomever He gives us to love, beginning in our home. Like Mary, today in this Eucharist, the Lord wishes to take up His dwelling in us and, through our body, enter the concrete situations of our daily lives. When we welcome Him, He gives birth to His divine presence within the crib of our hearts.